If you’re planning a visit to Israel, you should make yourself familiar with local holidays and days of rest. These may affect your travel plans in ways you can’t imagine. Some of them are actually fun to be around for, others mean no public transportation, or maybe just super busy national parks and beaches. There’s no public transportation during religious Jewish holidays or in Shabbat (Saturday). During Yom Kippur, everything comes to a standstill in Jewish cities and towns. The other major holidays which you have to take into account as a traveler are Rosh Hashana, Passover, and Christmas. If your trip dates don’t coincide with Rosh Hashana, Yom Kippur, or Passover, our local holidays will only minimally affect your trip if at all. Still, you may want to enjoy the spirit of the holidays so, keep reading even if you’re coming during a different time of the year. I’ll be sharing all that I know, thinking about it from a traveler’s point of view. 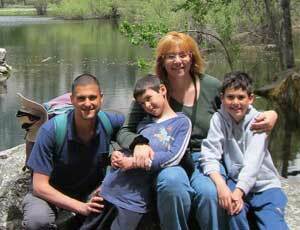 After all, I am a fellow traveler – not just a local here in Israel. Which holidays are celebrated in Israel? Israel is the birthplace of the three main monotheistic religions: Judaism, Islam, and Christianity. Roughly 75% of the population is Jewish and about 17% are Muslims. 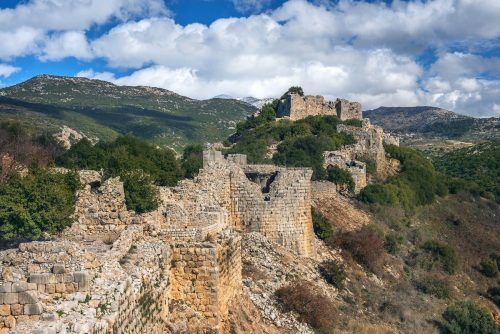 Christians make another 2% and Druze are another large minority at about 2% of the population. The rest falls under “other”. 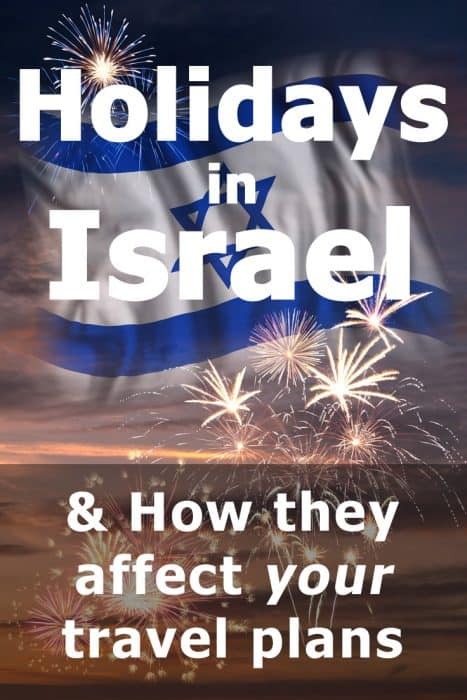 The official holidays in Israel as defined by the home office are those of the Jewish, Islamic, Christian and Druze faiths. They are official in the sense that a worker can get a day off work based on these dates (but your employer will want you to stick to a religion… you can’t just take ALL of them as days off). However, Israel is by definition “The Jewish State” which means official government agencies adhere to the Jewish calendar. Muslim or Christian workers may take their days off on their holidays, but they’ll also won’t be able to go to the office during Jewish holidays because the offices will be shut down. Same goes for banks and other large companies. In addition to that, we have three secular special days: Independence Day, Memorial Day and the Holocaust Day. What does this mean for you as a traveler? Many of the places you’re likely to visit will be affected by the holidays of all three main religions. 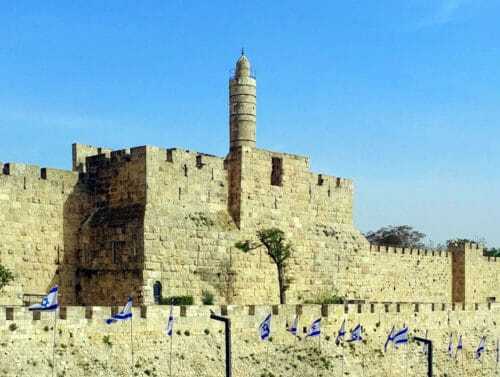 For example, if you’re visiting the Old City of Jerusalem, any Jewish, Islamic or Christian holiday could affect your visit. It could mean some areas will be busier than usual and you may not have access to the holy places of that religion as they will be closed for worshippers only. You should make yourself familiar with your destinations too. 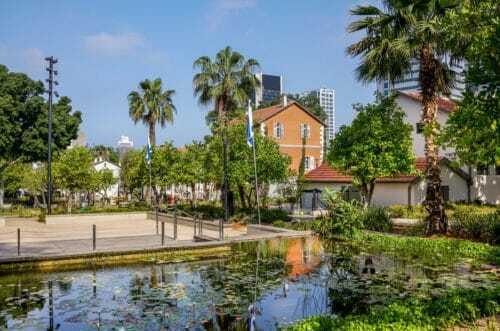 Tel Aviv, for example, is a Jewish secular city. Which means you will have no public transportation there on Saturdays (Shabbat) or any of the religious holiday days that have the same status as Shabbat (not all do! I’ll give you the details on each one further down this post). 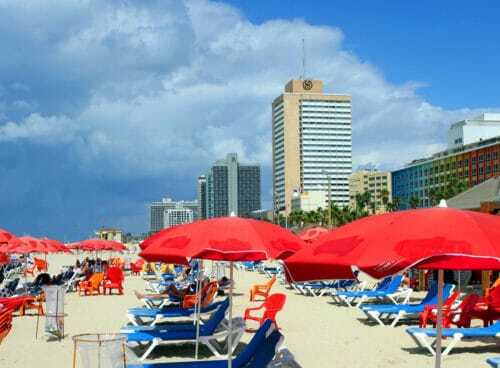 However, Tel Aviv won’t be affected by either Islamic or Christian holidays at all. On the other hand, Jaffa, Haifa, or Akko are mixed cities with Jewish, Muslim and Christian inhabitants. Different areas within each of these cities are likely to be affected during any major holiday – you need to know the affiliation of the area you’re about to visit. Now, being affected by a holiday is not necessarily a bad thing. It can be tremendously interesting to watch – and possibly take part – in another nation’s festivities. Keep reading as I’ll explain more about each one. In principle, Easter falls on the Sunday following the full moon that follows the northern spring equinox (the paschal full moon). If you’re coming from a country that follows the Christian calendar, you probably know how to figure out when your national holidays are. But how about those of Israel? Judaism and Islam follow their own form of a lunar calendar. These calendars can get complicated and the end result is the same: It’s difficult to predict the dates of holidays on your own. The Jewish calendar has its methods of compensating for the lunar-solar differences, so the holidays are at least associated with a certain period of time of the year. Thus, Passover is always during springtime, sometime between late March and April. Rosh Hashana can be anytime between mid-September and October. You get the point. With Islam, it’s even worse. The Islamic holidays just keep floating around the calendar based on the lunar holidays. There’s no telling when Ramadan will be each year, unless you happen to follow that calendar. One last thing to remember. According to the Jewish calendar, the date changes every evening. The exact hour depends on when the sun goes down and at least three stars are visible in the night sky. Don’t worry, they know in advance when that’s about to happen. The point is, holidays as well as Shabbat begin and end in the evening – not midnight. It means you should check the dates of the holidays I’ll specify below, in relation to your trip dates. This post will give you a general timeframe for the Jewish holidays – the ones most likely to affect your travel plans – but then you’ll have to Google things like “When is Rosh Hashana in 2020” to get the exact dates. It’s not too bad. We do it all the time. Again, with this being a Jewish state, Saturday is the one that’s the most problematic for you as a traveler. The trains don’t run. Buses are limited to Arab areas. 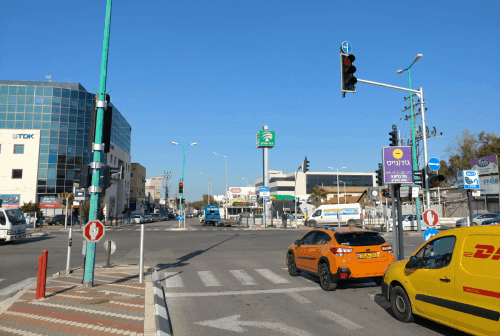 If you’re in Jerusalem, Tel Aviv or any other Jewish area – secular or not – you’ll have to rely on a rental car or taxis to get around (if you’re not sure about renting a car while visiting Israel read my post here). Also, most stores will be closed. 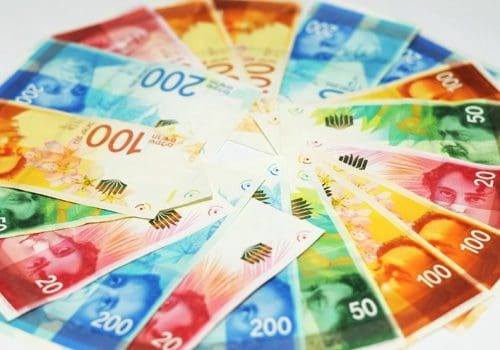 Commerce is illegal in Jewish municipalities but most of them – not all – allow restaurants and coffee shops to operate. 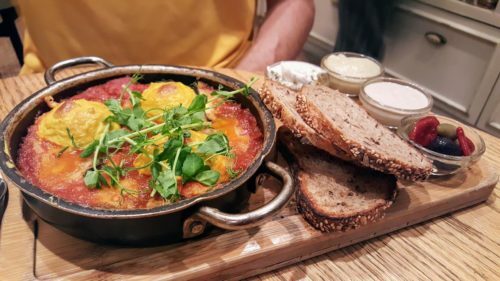 However, any such establishment which opens on Shabbat will not be able to declare their food as kosher, potentially losing their Jewish religious customers. Some stores are open but either in very secular areas (risking a fine) or outside towns and cities. Now, it’s time to talk about the Jewish Holidays. We have a very long list of holidays here, I’m afraid. The thing is, not all of them are made the same. Holy days which are “As Shabbat”. During these days, everything operates as it does on Shabbat (as I just detailed above). Some holidays have additional days in them which are called in Hebrew “Hol Hamo’ed”. Which means something like – “the holiday’s secular days”. In other words, that’s when religious people can operate machines and otherwise act as if it’s a regular day. Holy days (literally) that are of the same “status” as Shabbat means everything goes into Shabbat mode, as described above. Hol Hamo’ed is blissfully less eventful. The buses and trains run and almost everything is open for business. However, these are school holidays. Which means many people take the entire holiday as vacation time. 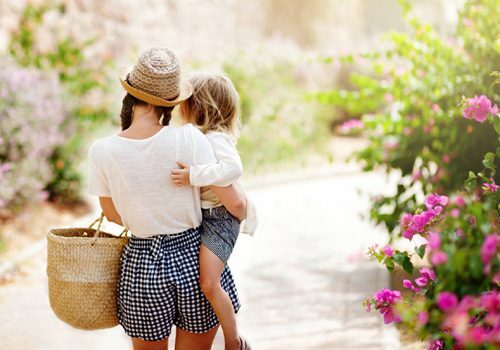 In practice, expect busier times in tourist attractions, national parks, the beaches etc. Now, let’s cover the Jewish holidays, one by one. I’ve arranged them by the order in which they come, and indicated the general time of year when you should expect them. Again, Google the name of the holiday and the year of your visit to find the exact dates. This is the Jewish New Year’s Eve. It’s the first of the Tishrei holidays (Tishrei being the first month in the Jewish calendar). Rosh Hashana lasts for two days. Both of them are Shabbat-like so the all of the Shabbat restrictions apply. Rent a car or stay in a big city where you can walk to see the sights. This is a family-oriented holiday so unless you’re invited to share it with a local family, there won’t be much for you to do or experience during the holiday itself. Yom Kippur is like Shabbat on steroids. EVERYTHING shuts down in Jewish areas. Including secular ones. Also, people don’t drive in Jewish areas if they can avoid it. Emergency services still operate but pretty much nothing else does. Try to avoid including Yom Kippur in your travel plans. Stick staying in a non-Jewish area. It’s your chance to get some amazing shots riding in the middle of a deserted highway, a la The Walking Dead! Just be careful and keep in mind that some people may need to drive to get to a hospital. Sukkot is a fun little holiday. Well, not little in the sense of “short” – it lasts an entire week. It’s fun because it only has two days that are Shabbat-like. One is at the beginning of the holiday and the other at the end of the Sukkot week. The rest is what we call “Hol Hamo’ed”. Enjoy the holiday atmosphere. Plan ahead for the two days in the beginning and end of the holiday – no public transportation on those days. Other than that, look for the small huts that pop-up in people’s backyards and under buildings. That’s the chief holiday tradition. 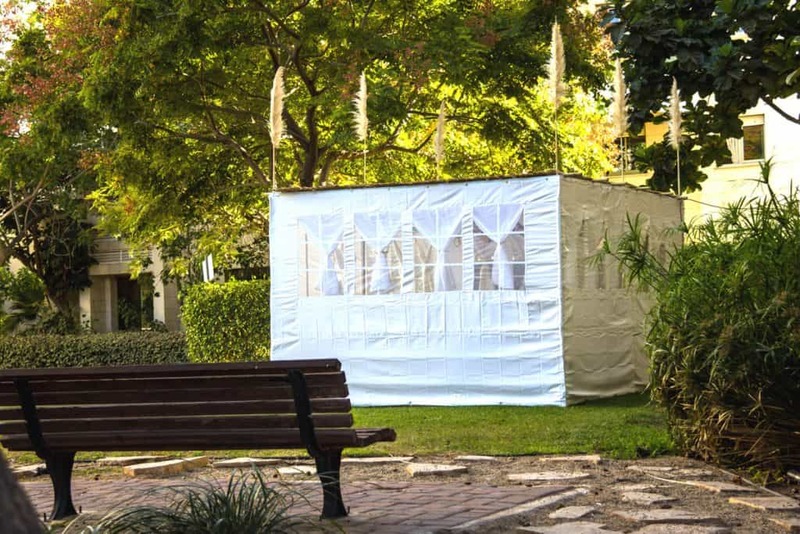 There also many festivals and special events during the Sukkot holiday. Attractions are likely to be busier than usual – but they’ll also have extended hours and special activities to make up for that. Another great holiday that’s long but not too difficult to traverse. It lasts for 8 days but with no Shabbat-like days during Hannuka, it shouldn’t come in the way of your travel plans. With the kids off school, there are events and festivals to watch for those. 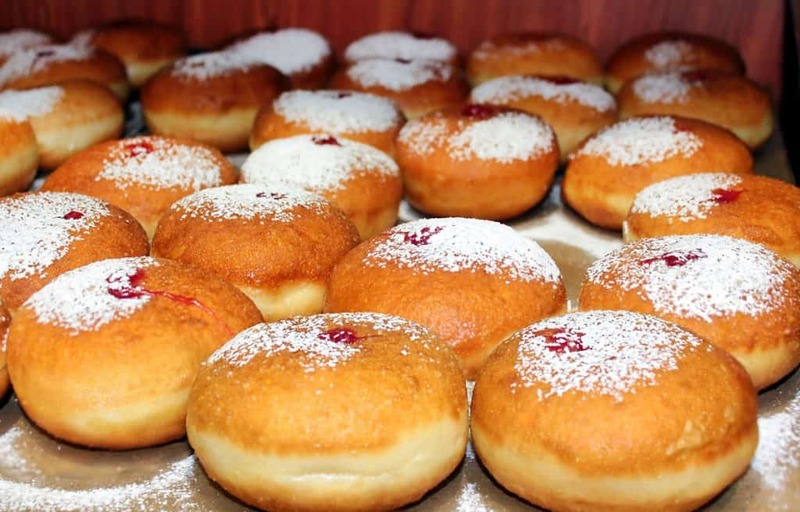 As you walk in Jewish areas, look for lit menorahs in windows (more common in religious areas) and for delicious doughnuts in bakeries and food stores. The Hannuka donuts don’t have holes in the middle. The traditional ones are filled with strawberry jelly/jam and sprinkled with sugar powder but many bakeries offer amazing new fillings and frostings. A single day that has zero religious implications. If you’re planning on visiting a national park, you may come across some festive planting activities. After all, this holiday is about The Birthday of Trees! Other than that, you’re not likely to notice anything special on the day. The Jewish Halloween! Not trick or treating as a rule (though we’re seeing more exceptions every year), but kids dress up and many towns have parades. The holiday lasts for three days, but none of them is Shabbat-like. If you’re visiting any Jewish towns or cities on these days, look for information about the local parades. They’re fun to watch but they also tend to be crowded. Passover includes two Shabbat-like days – at the beginning and end of the 7 days. They’re known as the Seder and the Second Seder. The holiday tradition is to avoid eating anything that’s made of wheat (plus a few other things). So, no bread, pita, pasta, pizza, pretzels or hummus. Most bakeries and places that serve these dishes just shut down for the entire holiday. The Seder is a personal family event. Unless you can join a local family as a guest, you won’t have much to do. Remember to take the two Shabbat-like days into account when making any travel plans. You won’t be able to buy any of the Passover-non-kosher food in Jewish areas. At least, that’s the general gist of it. In Tel Aviv, you may find places that will sell you the stuff “under the table” (it’s illegal for them to put it on display) but generally, it’s just not available in Jewish towns. Secular people just hoard up on the stuff before the holiday – or drive to a nearby Arab town to get their carb fix. Keep an eye out for festivals and special events throughout the school holiday and expect more crowds. This is a remembrance day – with zero religious implications. Local TV and radio stations broadcast sad music and holocaust-related documentaries. Movie theatres etc. are closed for the day. Just a national day of grieving. Stores and restaurants are open, but everything is generally low-keyed. The sirens go off in the evening of the Holocaust Day, to honor the memory of the millions who perished during the holocaust. When that happens, everything stands still. Cars stop in the middle of the road, and everyone just stands where they are and bow their heads. It’s a chilling experience to see millions of people stop everything for a minute or two. Please be respectful and do the same. Don’t be surprised if you find yourself bursting into tears. There is something hugely emotional about those couple of minutes. If you come from the US, forget everything that you know about Memorial Day. In Israel this day is all about remembering those who have lost their lives during war and terror attacks. It’s a very emotional day for Israelis, many of whom personally know such people and families. Again, very low-keyed day. Some people may be very emotional, so please be respectful. The sirens will go off twice during Memorial day. The first time is on the Eve of Memorial Day at 8PM. It lasts for one minute. That’s when schools and towns have local ceremonies to honor the fallen soldiers in the community. The second time is on the day itself, at 11 AM. This time it lasts for two minutes. At that hour, families and friends of the fallen soldiers gather around their graves in the cemetery. Again – during both times – the custom is to stop everything and anything, stand up and just be quiet for the duration. Vehicles come to a halt, so if you’re driving, be prepared for that. They will stop at 8PM and 11 AM even if you’re in an area that’s away from the sound of the sirens because they know when to expect that. If you can, just find a place to pull over ahead of time. As an FYI, for Haredi (so-called Hassidic) Jews, standing while the sirens are going goes against their belief. They have other ways to show respect for the dead. If you happen to find yourself in an ultra-religious area, expect to see them walking and driving as usual. And in a sharp twist, we’re moving to one of the happiest days of the year: Israel’s Independence Day! 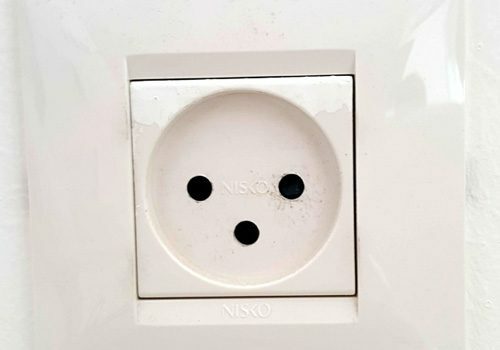 And it’s quite a switch here. The Eve of Independence Day comes right at the end of Memorial Day. So right at the end of what is probably the saddest and most emotional holidays in the country – you go out on the streets to celebrate! It’s totally bizarre but that’s how it goes for complex historical and ideological reasons which I won’t go into here. This is an entirely secular holiday. Public transportation is in operation and stores are usually open (though smaller ones may close to allow staff to enjoy the holiday). On most years, the IDF holds a small air and naval show along the coastline. It can be fun to watch – all you have to do is get to the beach anywhere along the country and wait with the crowds. A single day holiday that’s not Shabbat like. The tradition with this one is to make a large bonfire. That’s about it. This is mostly a holiday for school kids but you will see fires lit all over the country. Air pollution goes through the roof in urban areas. If you’re sensitive to that, be prepared to stay away from urban Jewish areas the following day. A short little holiday with two Shabbat-like days. Most people celebrate by meeting the family sometime along the two days and sharing a dairy-oriented meal. Again, two Shabbat-like days to take into account in your plans. Either rent a car, budget for a taxi or plan to be in a place where you can walk around for two days for your sightseeing. In some Jewish areas, you’ll see kids on the streets spraying water on each other by any means available (usually large plastic water guns). They’re perfectly harmless and usually avoid passers-by as they carry on with their water wars. And if you get hit, it’s just water. May even be a welcome thing on a hot June day! This is a religious day of fasting and mourning, over the loss of the first and second Temples. For secular Jews, it’s almost meaningless. However, many restaurants, cafes etc. close down for the day. Not much. Just know that it’s there. And that’s it! We’ve covered the entire Jewish calendar! Let’s move on to the other two religions. I’m putting them together because you’re probably familiar with them. They’re not celebrated in Jewish areas as a rule, just a regular day. However, cities and towns where Christian Arabs live usually have more of the spirit holiday showing around. Of course, Churches across the country hold masses and other ceremonies. 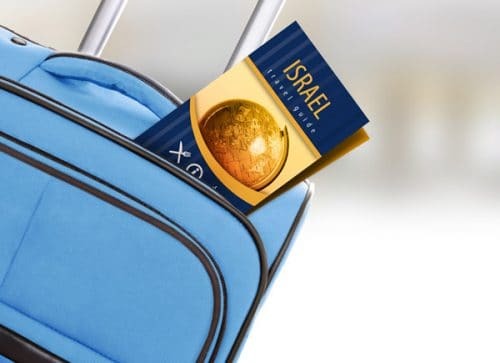 If you’re a Christian traveling to Israel during one of these major holidays, you probably already have plans. If not, find a church of your affiliation and see what they offer and where. Most churches have online websites. I’m not including Bethlehem because it’s under the Palestinian Authority’s rule. Clearly, Christmas is huge over there but I really don’t know the first thing about getting there. As an Israeli citizen, the city is out of bounds for me. Ever since we’ve had a few hundreds of thousands Jewish immigrants come from Russia – a couple of decades ago – more people started celebrating New Year’s Eve, or its Russian equivalent: Novi God. Secular Jewish areas are bound to have parties in private homes and clubs. If you’re into clubbing, expect some good parties in Tel Aviv and other secular Jewish cities. During the month of Ramadan, Muslims fast during the day and only eat at night. Families meet overnight for huge festive meals and as the month progresses, the religious fervor picks up steam. The month ends with the celebration of Eid Al-Fitr, generally a day of prayers and good deeds. Things can get tense around Ramadan and especially towards Eid Al-Fitr. Unless you’re being hosted by locals, you may want to avoid visiting Islamic holy places and Muslim areas during the holiday. It’s not that it’s dangerous – but you will be in the way of people who are celebrating. The second holiday or Eid this is the Festival of Sacrifice, celebrating the story of Abraham almost sacrificing Isaac. The holiday lasts for four days and tradition calls for a lamb to be sacrificed on the fourth day. The meat is then shared with poor people in need. Again, unless you have a host there, you may want to avoid Muslim areas for the duration of the holiday. There you have it. The full list of holidays in Israel. I focused on the Jewish ones because they’re the ones that the country operates by. The Islamic and Christian ones are observed in smaller areas and usually don’t affect travelers as much. I hope you find the information useful. As always, if you have any questions or feedback, leave me a comment and I’ll try and help as much as I can. Very helpful indeed! Thank you Anne! 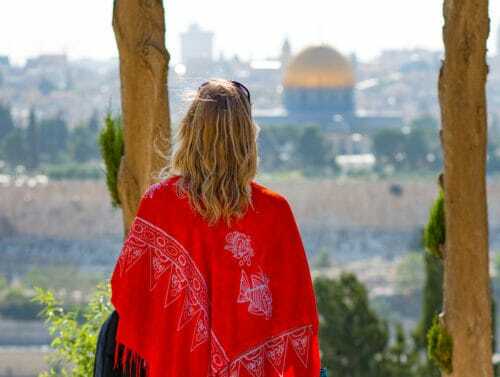 Next PostWhat’s the Best Time to Visit Israel?